If you work with wood, the natural by product is saw dust. Here is an alternative use for what is usually viewed as waste. This project is divided in 2 general processes. The first is the production of bio mass briquettes using saw dust and the second is the use of them through an extremely efficient stove. The production of bio mass briquette is very well documented on the Internet. 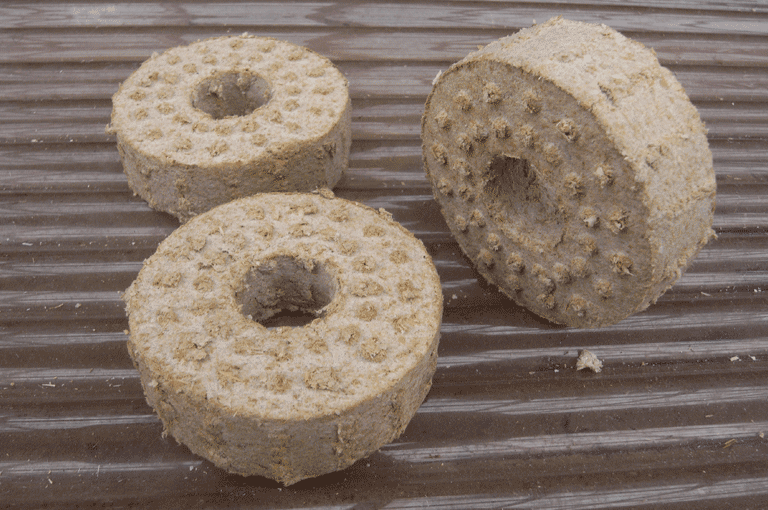 The first step is to make a press to fabricate these briquettes easily. The press above is a design borrowed from Leland Hite at applied engineering who has generously made plans and demo videos available for general viewing. 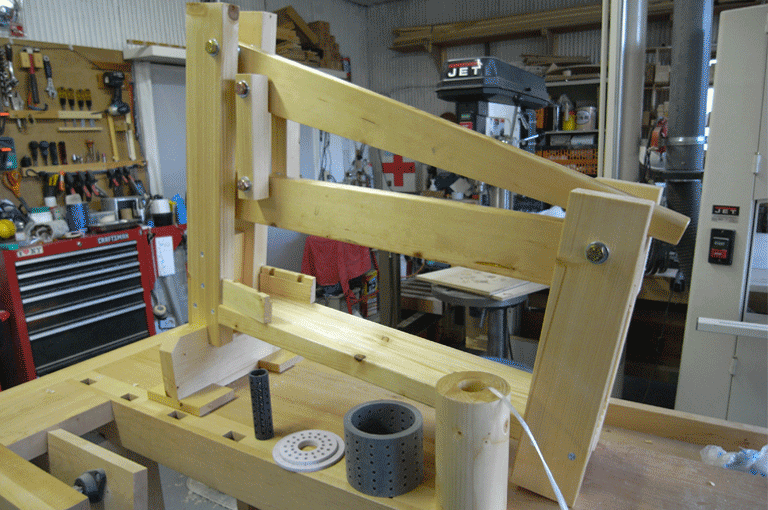 This press is very easy to make with basic tools and I highly recommend it. Once you have the press, you need to make the magic potion. Rip some newspaper and leave it overnight in plenty of water. Do the same with the sawdust. Once both are soft, use a paint mixer and a drill to mash each mix. The more water the easier. Next mix a ratio of 20% newspaper to 80% sawdust, so 2 scoops newspaper and 8 scoops sawdust. The more newspaper the more it will bond the sawdust but will also burn faster. 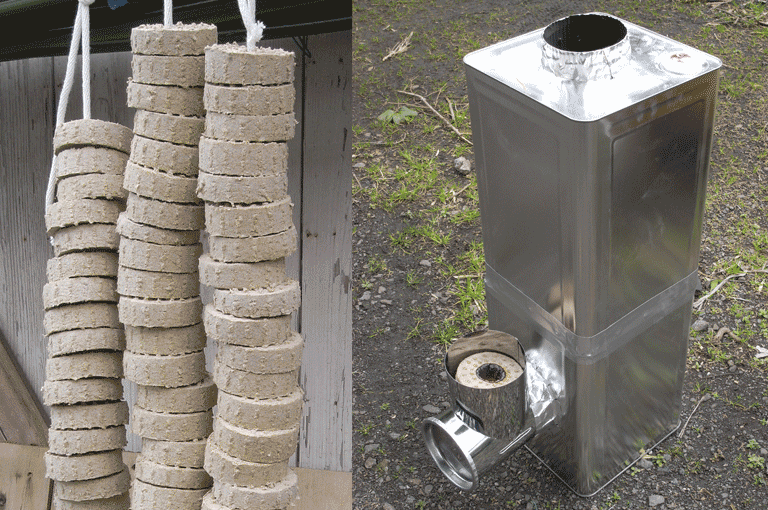 Once you've made the briquettes let them dry for a good week and they will be ready for use. Next make the rocket stove! This again is well documented on the Internet. Here is a collection of videos with various rocket stoves. The beauty of this stove system is that it is not only extremely efficient but also fully combusts gases emitted so no need to worry about nasty toxins going up in the air. The design I've made uses common paint cans and exhaust ducts that can be found in you local hardware store. Very cheap to make and above all a great weekend project. You can also modify this stove to make a heater but you will need to have a exhaust if you plan to use it indoors. Enjoy!